I love chickpeas – drained, rinsed and tossed in a variety of salads, transformed into a luscious channa masala curry and so on. While plain chickpeas are easy to drain out of a can onto a salad, roasted chickpeas elevate themselves to another level! Roasting canned chickpeas may sound like a major undertaking, but it really isn’t. The hardest part is probably breaking away from whatever you are doing every 15 min or so to toss the chickpeas around so they roast evenly. Roasted chickpeas won’t really have the same texture as store-bought ones in sealed packages. They tend to have a very crisp, hard texture. These home roasted chickpeas have a bite and are on the chewy side – in my opinion, perfect texture for a salad or snack. 1. Preheat oven to 325F. Line two cookie sheets with parchment and set aside. 2. Drain and rinse chickpeas from the two cans and divide among two medium sized bowls. 3. Add seasoning mix 1 and 2 to the bowls (of course, separately). Toss to coat well. 4. Transfer the chickpeas to the baking trays and bake for 45 to 60 minutes, taking care to check on the chickpeas every 15 minutes. 5. Chickpeas will look and feel dry when done. Remove from oven and let them cool completely. Transfer to airtight containers and refrigerate. It will taste great at least for a week. 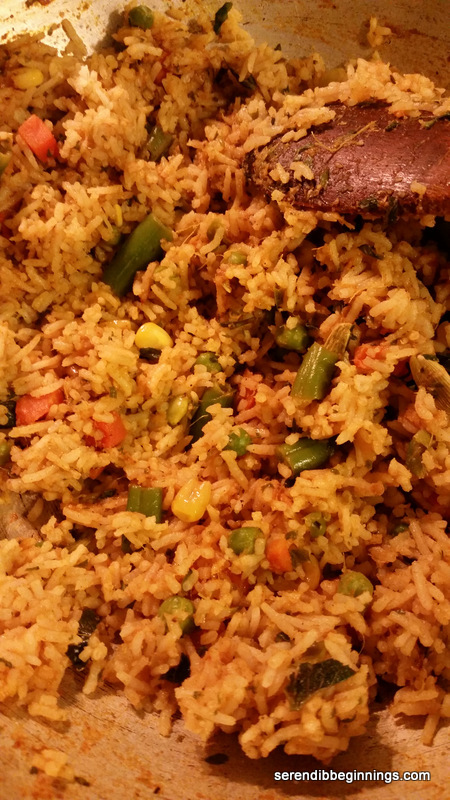 There are myriads of recipes for fried rice. I personally love fried rice of any type or ethnic origin. This particular recipe is a blend of Indian and Sri Lankan flavors and textures. Sri Lankan recipes typically will call for pandan (rampe) leaf which is not easily found in grocery stores in the US (although you can find them quite easily in Ontario, Canada). 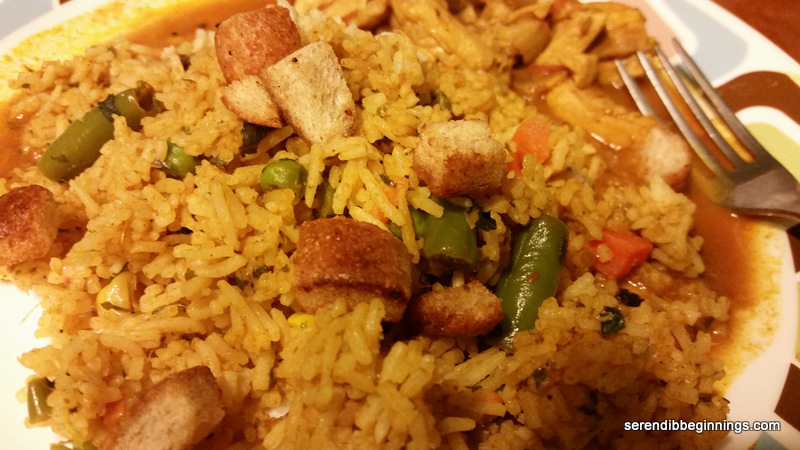 They impart a very distinct flavor to the rice and meat dishes. In the absence of pandan, I used mint leaves in this recipe, making it more Indian. 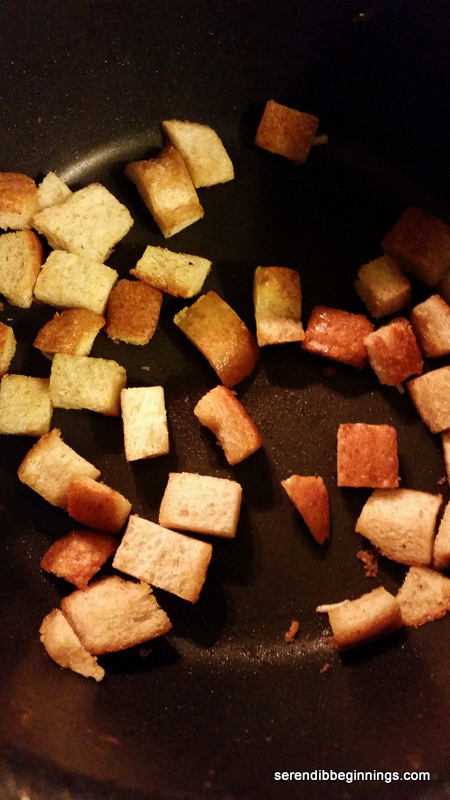 In addition, Sri Lankan version is sometimes topped with bread cubes sautéed in clarified butter (aka ghee). They add a nice chewy texture and a unique flavor to the rice! When I was a child, I remember hunting for these bread cubes in my rice! This is a wholesome vegetarian dish that could be served with Indian/Sri Lankan curries or a simple yogurt/cucumber relish or just plain yogurt. It is pretty straightforward to prepare – the most involved step is making the spice mixture. 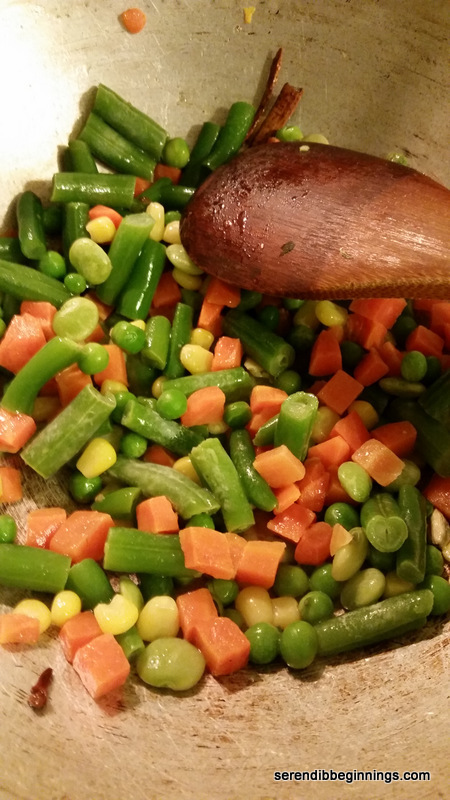 If you are crunched for time, you can easily use frozen vegetables in place of fresh (like I did in this recipe) without sacrificing the flavor. 1. Begin by cooking the rice according to directions. 2. 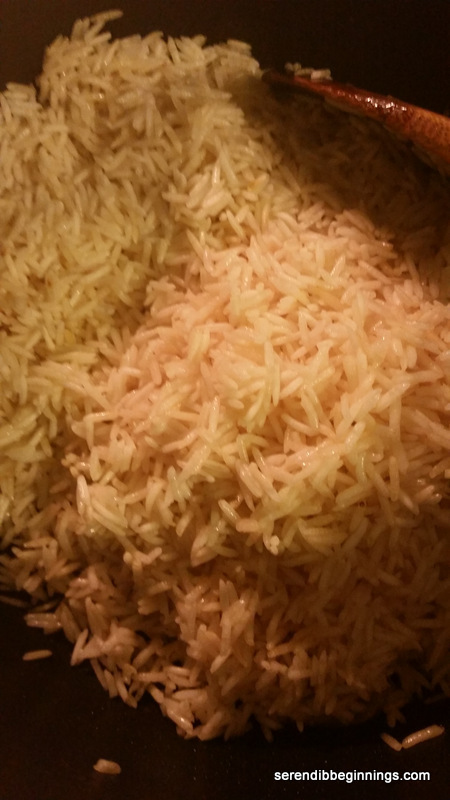 While the rice is cooking, heat a teaspoon of oil in a shallow frying pan and saute thickly sliced onion, chili, garlic and ginger. 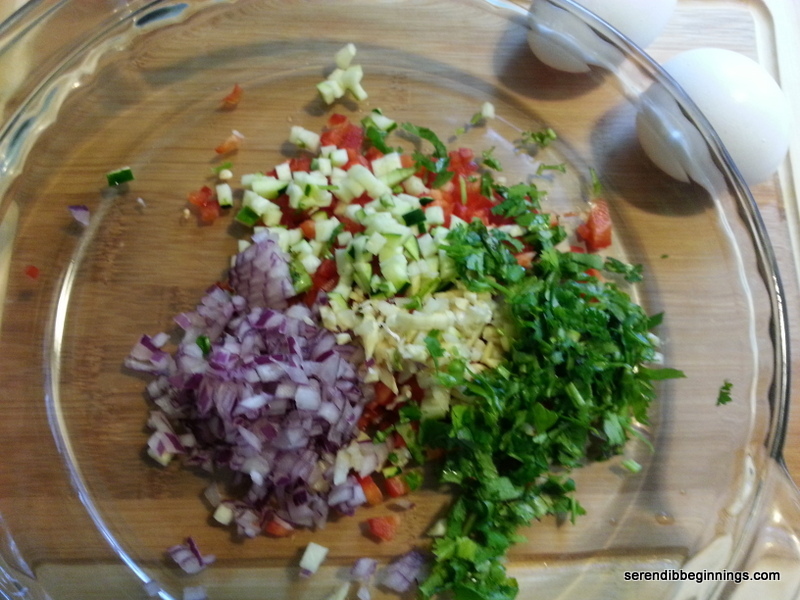 When the onion begins to get golden, add the tomatoes and mint leaves. Saute for few more minutes and remove from heat. 3. Using a hand blender or food processor, grind the above till smooth. Set aside. 4. Heat a skillet over medium high heat and add butter and tablespoon of oil. 5. Add the thinly sliced onions and saute till golden. Add cinnamon, cardamom and clove. 6. After a few seconds, add the frozen vegetables and turmeric powder and saute till the vegetable are cooked through and the carrot looks slightly caramelized. 7. Stir in the curry powder, ground spice mixture and salt to taste. 8. Continue to cook for another 5 minutes or so till the mixture is cooked through and the oil starts to separate along the edges. 9. 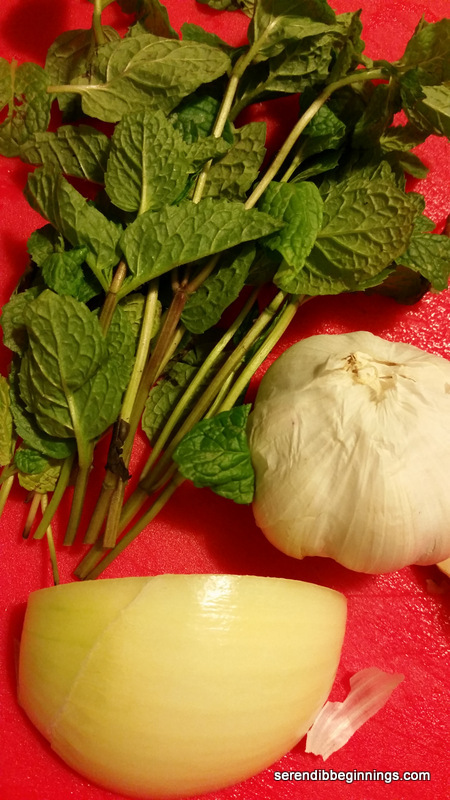 Mix in the cooked rice along with fresh mint. 10. Top with bread cubes and serve with a curry of your choice, boiled egg or yogurt (or a combination of all!). Quinoa has come a long way from its humble beginnings! What used to be a trendy food item of the ultra-health conscious folks, has now become a near staple in many a household – thanks to its nutty texture, delectable taste and most importantly its high nutritional value! 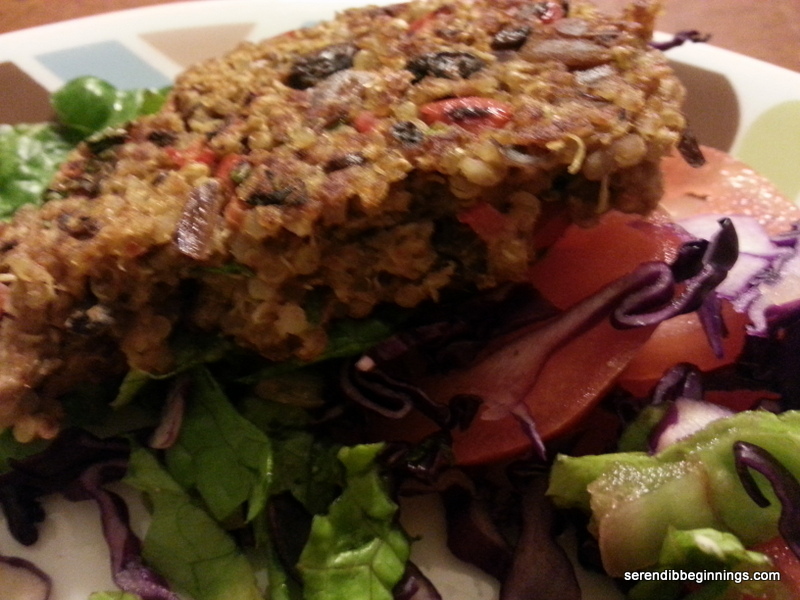 I use quinoa in salads, as a replacement for rice for serving with curries, as breakfast cereal and now as quinoa “burger” or patty. You can season these patties with your favorite combination of spices, herbs and other add-ins. I prefer the spicy notes imparted by southwest flavors of peppers, cilantro, citrus etc. and so decided to make these patties with those flavors! 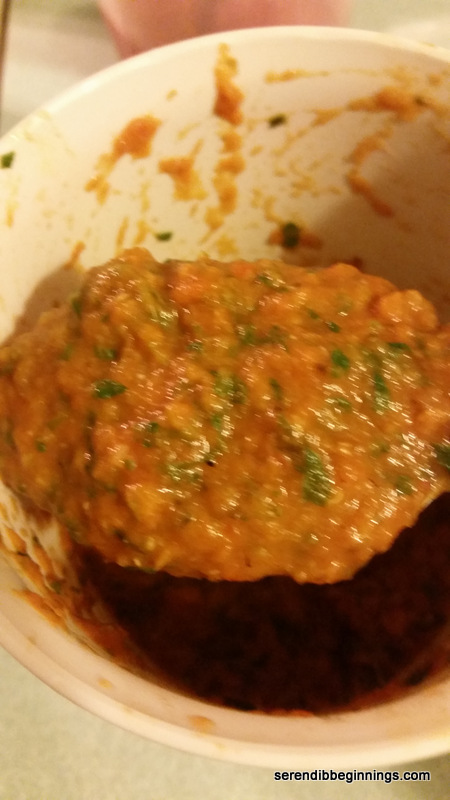 I used minced red peppers and zucchini to the patty mix. 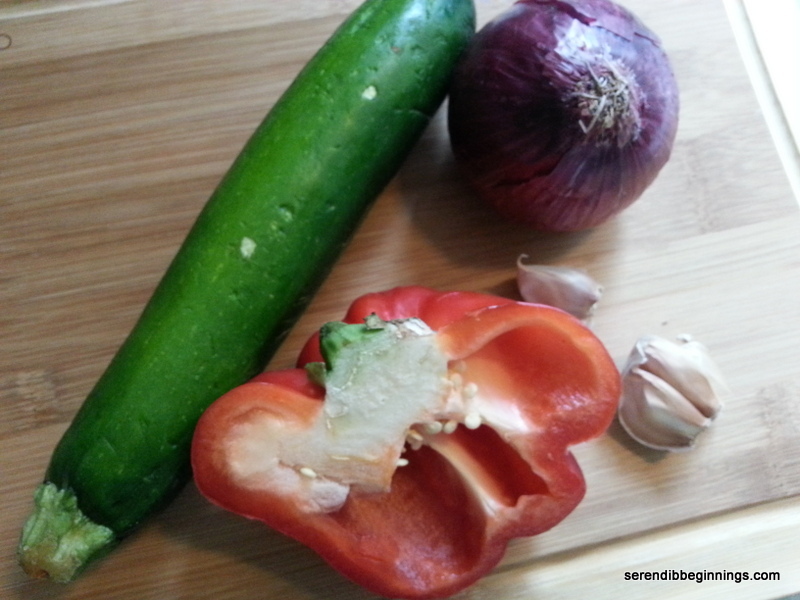 Needless to say, these ingredients add specks of bright colors and also boost the nutritional value. Addition of cheese not only gives a nice taste, but also helps in the holding power of the patty. 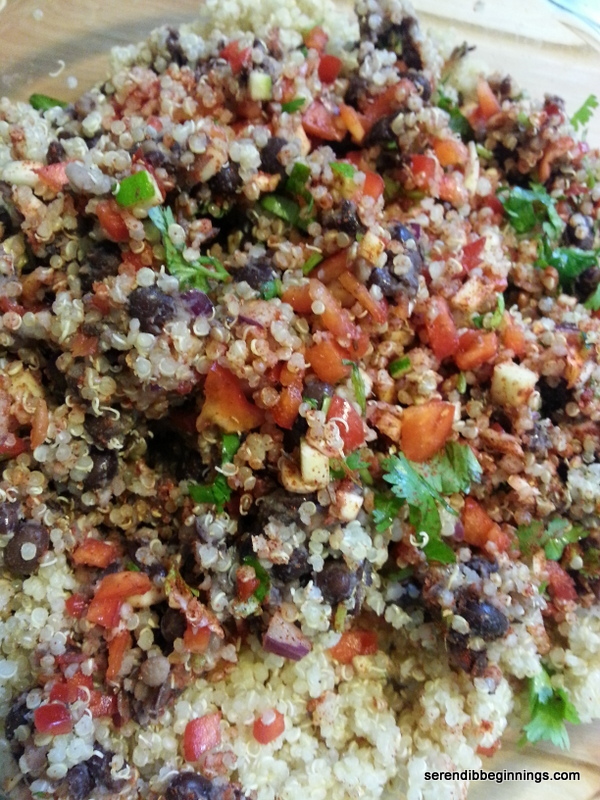 As you may already know, cooked quinoa is rather fluffy, individual grains. Even with mashed black beans, you will still need the cheese in there for the best texture. I did make a few without cheese. They came out great, but I had to be extra careful not to break them while flipping or removing from pan. Lastly, even with cheese, be careful handling the patties. They are a bit fragile but so worth it when it comes to taste. 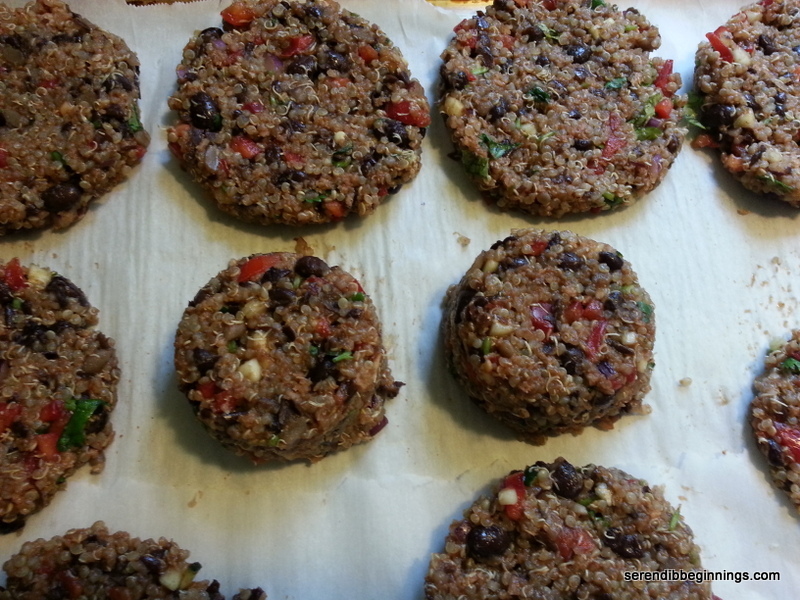 Lastly, you can use any type of quinoa for these patties (red, regular white, a combination etc). Also, you could substitute cannellini beans (or may be even navy beans) for the black beans in this recipe. Since I used regular canned black beans (not unsalted or reduced sodium), I could get away with just 1/2 teaspoon of salt. If you are unsure of the spice amounts, taste the mixture BEFORE adding eggs so you could adjust the seasoning. I did and boy was the mix delicious even at that stage! Would make a yummy dip baked with some cheese on top. Next time! The formed patties can be frozen. Just pan “fry” them straight from the freeze under a low temp so the inside gets cooked through without burning the outside. 1. 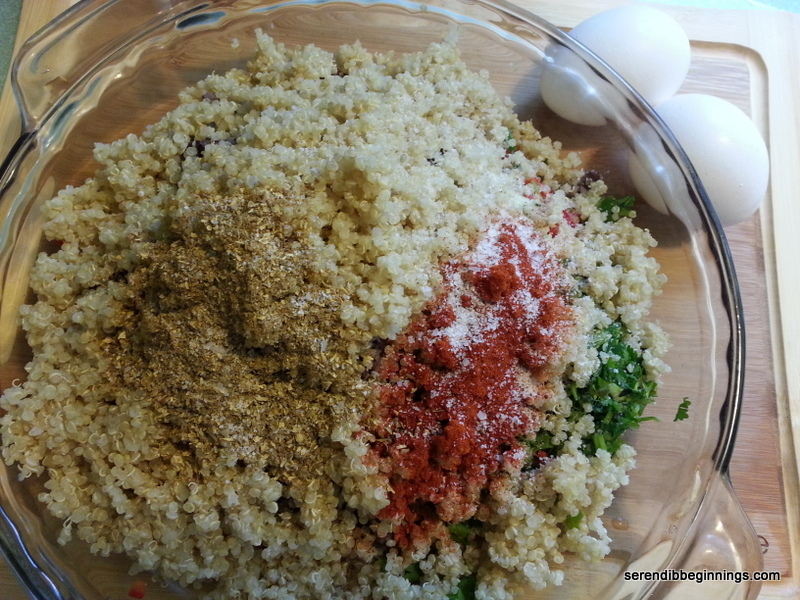 Mix quinoa and all other ingredients EXCEPT oil thoroughly. 2. Divide the mix into 10 equal portions and flatten on parchment lined baking sheet into patties about 4-5″ in diameter and about 1/2″ thick. 3. 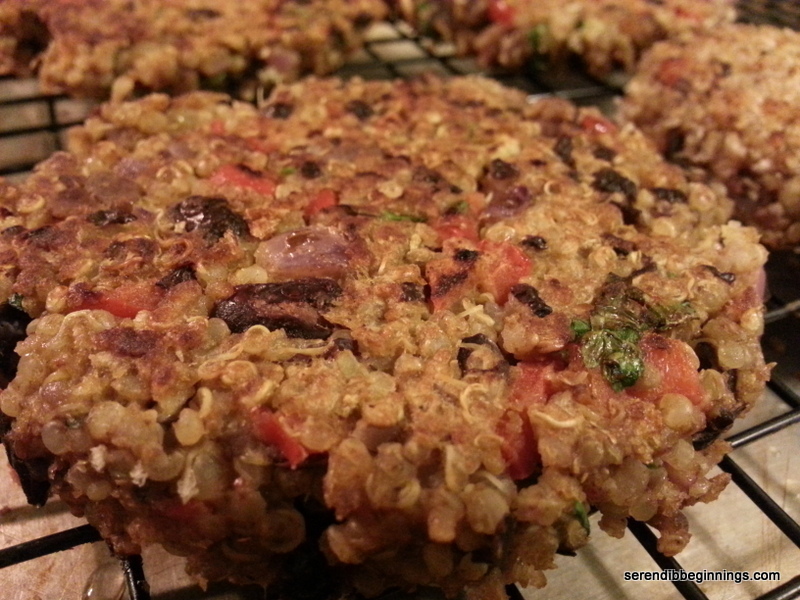 Place the patties in single layer on a platter and chill for at least 30 minutes. Alternatively, you can just chill the mix and form the patties immediately prior to cooking them. To do this, just take a ball of mix and flatten on palm of your hand and gently and carefully transfer it to the frying pan. 4. Heat a frying pan over medium heat and add a tablespoon of oil. Swirl to coat and place patties in the pan. 5. Cook for about 6-8 minutes. Carefully turn the patties on the other side and continue to cook for another 5-7 minutes. Extended cooking results in a golden and crispy exterior while ensuring the inside is cooked thoroughly. 6. Hold in a warm oven or toaster oven till ready to serve. 1. 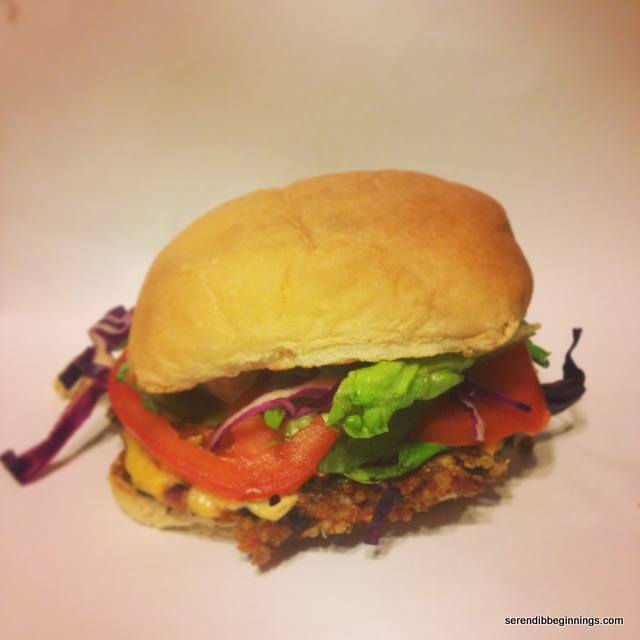 If serving the patties assembled as burgers, proceeds as you would with any meat patty. 2. If serving at a later time, freeze uncooked patties after their initial “chilling” period in the refrigerator (for easier handling). 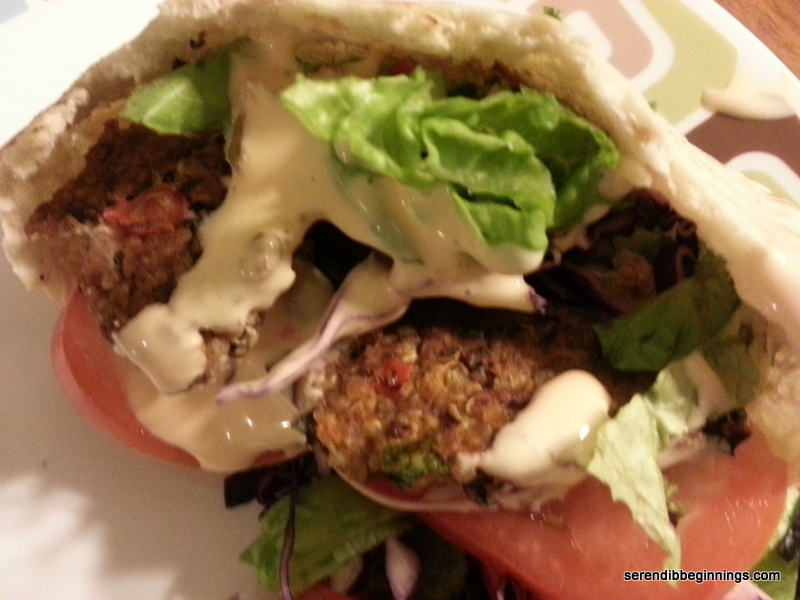 Wrap individual patties in clear plastic wrap and store in a zip top bag or other airtight container. Pan “fry” frozen patties under low heat to help thaw the inside and increase heat to finish cooking and ensure proper internal temperature.